A wildfire west of Tok along the Alaska Highway has grown to an estimated 550 acres despite an aggressive aerial initial attack. 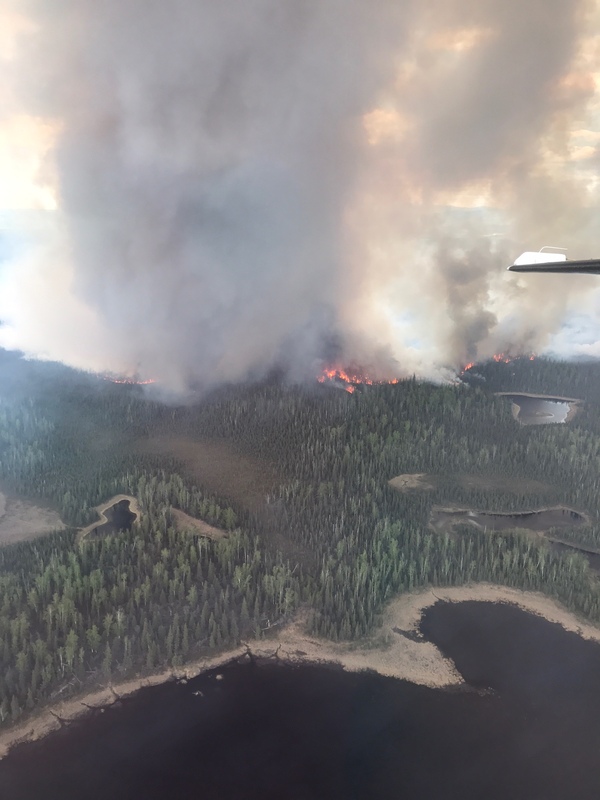 The North Robertson Fire is burning in a mass of black spruce about 2 miles west of the Alaska Highway near Milepost 1352, approximately 30 miles northwest of Tok. The fire is about 2 miles north of the Robertson River. The Alaska Highway remains open and traffic has not been impacted by the fire. No structures or homes are threatened by the fire at this time. The fire was reported to the Alaska Division of Forestry at 10:21 a.m. and was estimated at about 2 acres on initial size up. It had grown to an estimated 15 acres by noon and was estimated at 550 acres at 5 p.m. The fire is burning south toward the river. Two air tankers on contract with the Division of Forestry – one from Fairbanks and one from Palmer – are being used to drop retardant on the edges of the fire while two water-scooping aircraft from the BLM Alaska Fire Service are dropping water on the blaze. A helicopter from the Tok forestry office is also dropping water on the fire. Two loads of smokejumpers from the BLM Alaska Fire Service and five 20-person initial attack crews from the Division of Forestry and Alaska Fire Service are on scene or en route to the fire to fortify the work being done by aircraft. Aircraft are making retardant and water drops on the eastern edge of the fire closest to the highway to keep it from encroaching on the road. Smoke is blowing away from the highway at this time and traffic on the road has not been affected. A temporary flight restriction (TFR) has been put in place for the air space over the fire. The TFR covers a 5-mile radius around the fire. Pilots can go to http://tfr.faa.gov/tfr2/list.html to find more information about the TFR. The cause of the fire is unknown at this time but it is believed to be human caused.